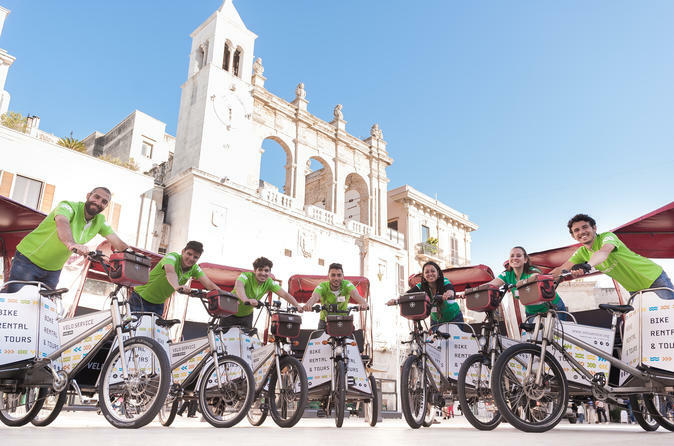 Delight in the architectural highlights and delectable bites of Bari during a private 3-hour rickshaw tour and cooking class. Select a departure time to suit your schedule and discover the city’s most prominent landmarks while listening to illuminating commentary from your expert guide. Admire ancient monuments like Basilica di San Nicola and Swabian Castle (Castello Normanno-Svevo) and then discover the secrets of Italian cuisine during a cooking class led by a professional cook. Feast on local specialties after preparing delectable dishes and sip fine wine as you chat with your private guide. Receive the undivided attention of your guide during this private tour. At a departure time to suit your schedule, greet your private guide at a prearranged location and climb aboard your comfortable rickshaw. Receive a fascinating introduction to the vibrant coastal city as you embark on your sightseeing adventure. Marvel at the magnificent Basilica di San Nicola, a prominent pilgrimage site home to the remains of St Nicolas, and then gaze at the impressive facades of the 11th-century Bari Cathedral and the ancient Swabian Castle (Castello Normanno-Svevo). Catch an authentic glimpse of local life as you explore side streets thronged with locals going about their daily lives; see pasta being made by hand and stalls selling fish fresh from the ocean. Adapt your itinerary to suit your interests by simply informing your guide if you wish to stay at a particular sight for longer. After gazing at the gorgeous seafront and sampling some authentic Italian ice cream, head to a house in the historical center to delve into Italian culinary traditions. Don your apron and follow the lead of a professional instructor as they show you how to make fresh pasta from scratch. Sit down to feast on the fruits of your labor when its ready and enjoy a glass of wine while chatting to your guide. Bid your guide farewell after drop-off at your original departure point.